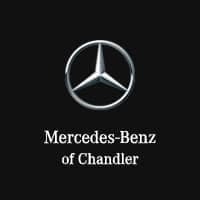 No Mercedes-Benz owner in or around Gilbert name has to expose their luxury model to the harsh weather conditions or messy passengers when there are accessories available to help protect your model. Find conveniences like rubber floor mats or accessories to for cargo organization, saving you space. Each model has different Mercedes-Benz accessories available, so make sure you explore your choices. Depending on your model, You have multiple options as to what you can add. If you own a sedan or coupe, you’ll find more accessories catering to your cargo space and storage. With SUVs, there’s more for your model’s exterior. Whether in Gilbert or Phoenix, you have access to our accessories, Mercedes-Benz lease offers, and new inventory. Learn more about GLE performance, read GLC reviews, and find a new Mercedes-Benz for sale near you. Contact us at Mercedes-Benz of Chandler to upgrade your Mercedes-Benz model with new protective and convenient accessories today.